Maton is a family-owned company producing a range of acoustic and electric instruments in the upper price brackets. Maton is an Australian based manufacturer of guitars. The Maton name is a derivative of the words “May” and “Tone”. Until the mid 1930’s the Australian guitar manufacturing industry was virtually nonexistent. Good quality guitars were hard to find and at this time the best guitars came from the USA. During the early 1940’s Bill May established a custom guitar manufacturing and repair business known as “Maton Stringed Instruments and Repairs”. This enterprise was so successful that Bill was able to convince his older brother, Reg, to join him as a full time guitar maker and in March 1946 the “Maton Musical Instruments Company” was born. Maton opened up Australia’s first major guitar making facility in Melbourne in 1949. More than 300 different models were created at the factory; a staggering testimony to the creativity of the Maton team from that era. Initially producing high-quality acoustic instruments they expanded into electric instruments and instrument amplifiers in the sixties, at first under the name Magnetone. Maton earned international renown for their superb acoustic and electric guitars and basses, which have been played by scores of famous performers, including George Harrison who owned one of their MS500 models which were introduced in 1957. 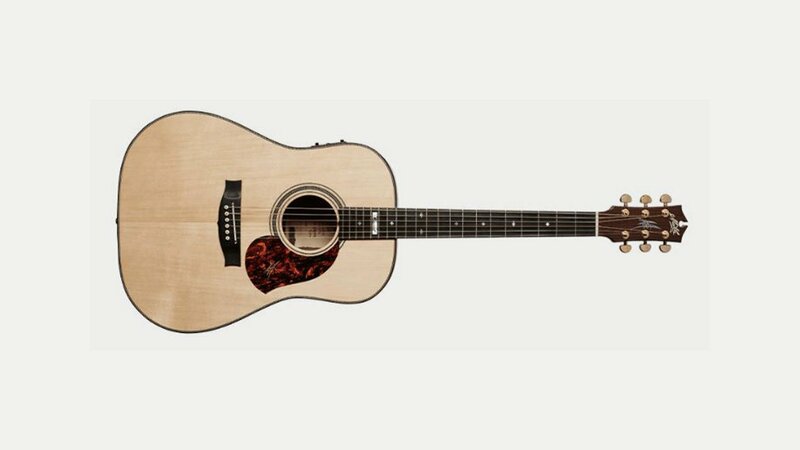 Australia’s best known guitarist, Tommy Emmanuel, owns many Matons and Maton has constructed a Tommy Emmanuel “TE series” according to Tommy’s specifications.